If you re-arrange the columns in Excel File of more than 30 columns then you will feel this program will be so much helpful to make process automate. 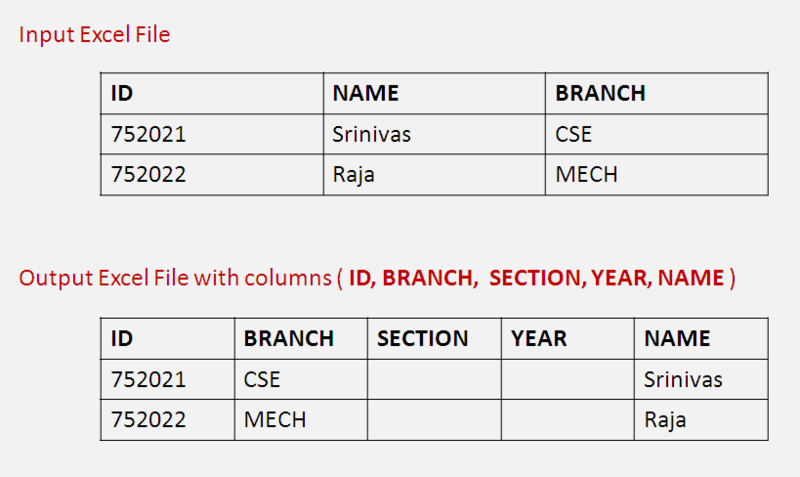 I have re-arranged the columns in Excel file of 40 columns then I wrote this program. I hope it helps you. To implement this program you need to download Apache POI library and have it in your build path (copy POI jars to lib folder).